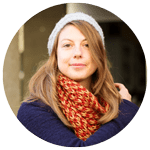 I am writing you today directly from the first floor of Lausanne-Geneva train. Going to Geneva right now to visit some friends. They are organising a diner party. This will a repas canadien as we call it in French. This means Canadian meal. I don’t think you say that in English. This is the type of diner party where each guest must bring something to eat and something to drink. I have made a quiche lorraine. I wanted to bring some canneles as well. I made so much yesterday that I was thinking we would have some leftover, but we ate them all. They were terrific! 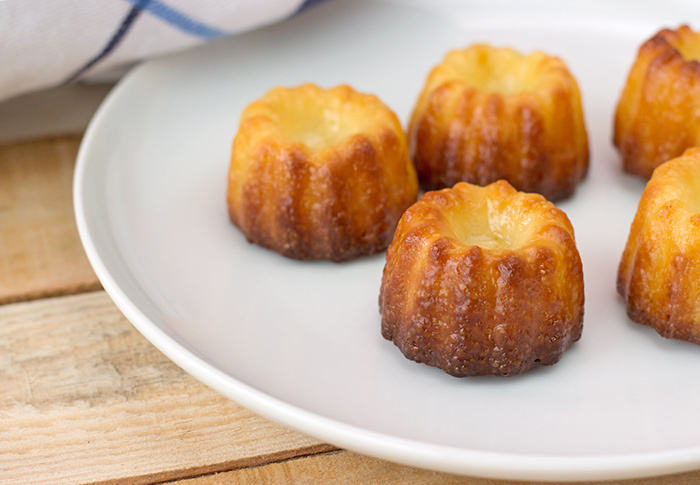 Cannele is a sweet little french cake crusty outside and soft inside. Below you will find the original recipe coming from Bordeaux. However that’s common in France to bake also salty one like this delicious dried tomatoes canneles. A friend of mine gave her recipe for basil one. Didn’t have time to try it yet. This is definitely something I will have to do soon. Seed vanilla pod. Bring to a boil milk and vanilla pod. Add butter. 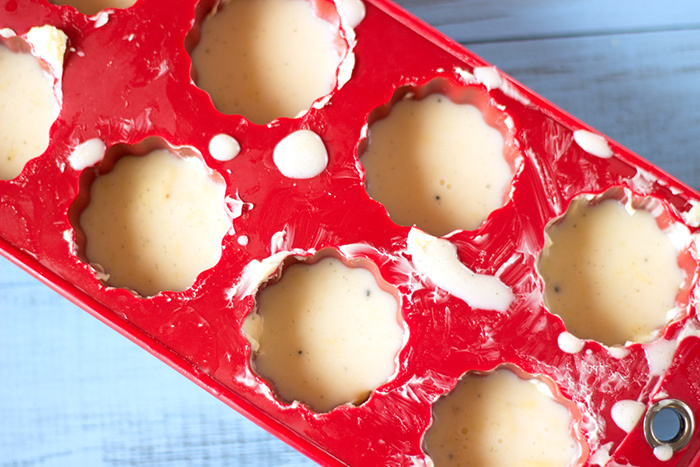 Melt and leave to cool. 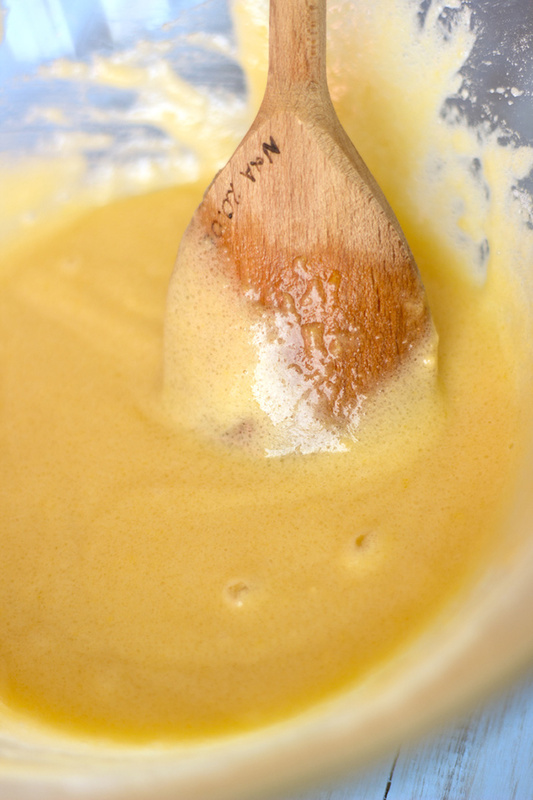 Mix sugar, flour, eggs and salt in a large bowl. Pour gradually the warm milk and mix. You will get something looking like a pastry dough pancakes. Refrigerate at least 1 hour up to 12 hours. Preheat to 250°C (480°F). Butter generously cannele molds with a pastry brush. This step is really important as butter will give the particular texture of the canneles, crusty outside and soft inside. 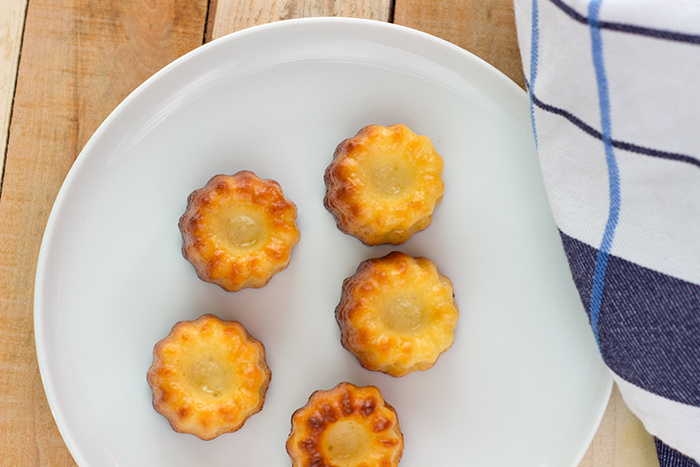 Fill only ⅔ of your molds with the preparation as the canneles will strongly expand during the first baking part. Bake for 10 minute. Low temperature to 180°C (360°F) and bake for 50 minutes - 1 hour. 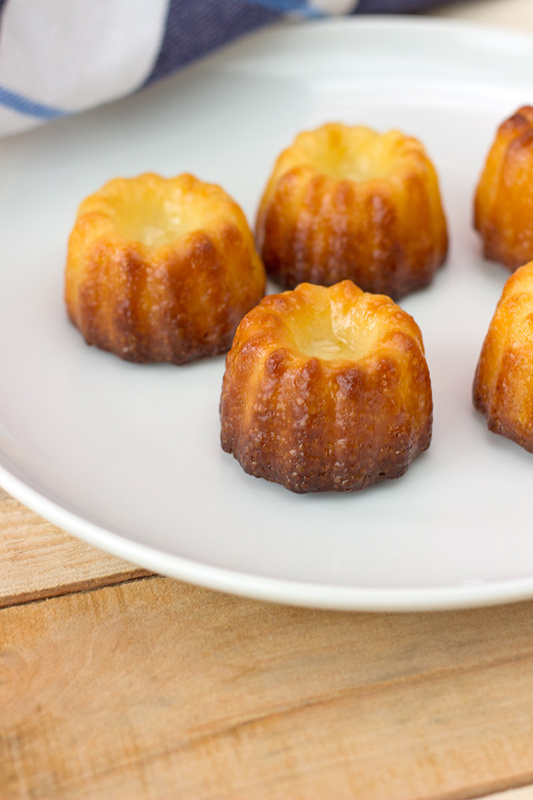 You will get approximately 25 cannelés. 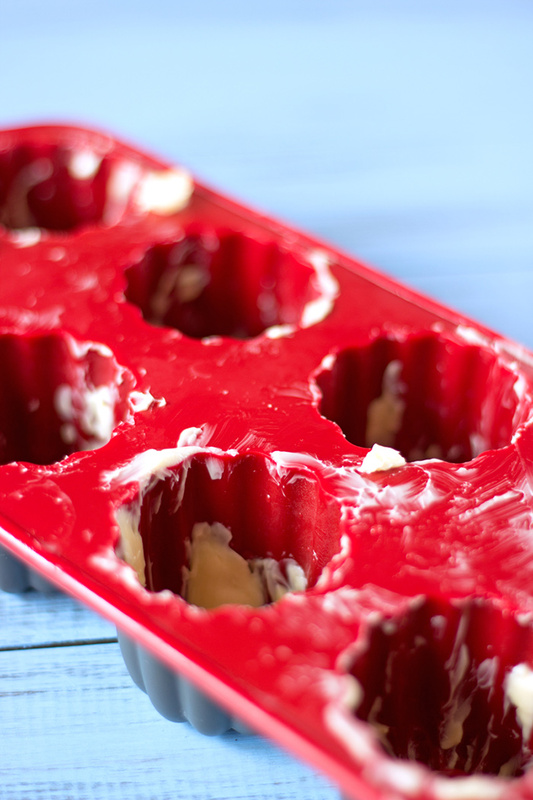 If you need use your molds several time, leave to cool in between. Looks great! I`m guessing I`d need some special cannelés moulds for these. Makes me wish I lived in France where I could find all these things so easily. Hello, Hello, Don’t worry I checked on Amazon and you can find them in dollars. So I assume you can also find it in others specialized shop. Thanks for that Natacha! Now I know what to look out for. And what the end result should look like. if I ever get to cook cannelés. I cannot wait to give these a try! Just wonderful. Hope you will like it as much as we did with my friends !